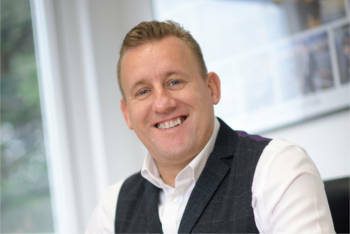 Polypipe, a leading UK manufacturer of sustainable drainage systems (SuDS), has appointed a new managing director to lead its civils division. Steve Durdant-Hollamby (pictured) will head up the civils part of the FTSE 250-listed multinational Polypipe Group, which develops green infrastructure and SuDS solutions for the built environment sector. With 26 years’ experience in the water management industry, Mr Durdant-Hollamby was the former MD of the water management division at Alumasc and took the helm at Polypipe this month. His ambition is to develop new techniques and help the outfit enter new markets through 'unique end-to-end solutions that will inspire the next generation of engineers, architects and planners'. The Loughborough-based division employs nearly 500 staff and has worked on projects including Wimbledon’s new £7m facelift, the £150m Royal Hospital for Children and Young People in Edinburgh, and a £5.7m social housing development in Yorkshire. It has also developed what it described as 'the UK’s first passive Green Infrastructure system capable of creating and sustaining green spaces in almost any environment, including densely populated cities'.